Root canal, also known as endodontics, is a treatment that helps to repair and save an infected or a badly damaged tooth. The method involves removing the damaged area of the pulp or tooth, disinfecting and cleaning and then filling as well as sealing it. Severe tooth pain at the time of eating or when putting pressure on the affected area. Teeth sensitivity and pain to hot or cold that lingers after the hot or cold stimuli are removed. Small and pimple-like bump on the gums near the area of the toothache. Swelling or tenderness in the gum near the toothache area. Save a diseased tooth from extraction. Improve the appearance of your tooth. Boost your overall health and well-being. Overcome the problem of severe toothache. 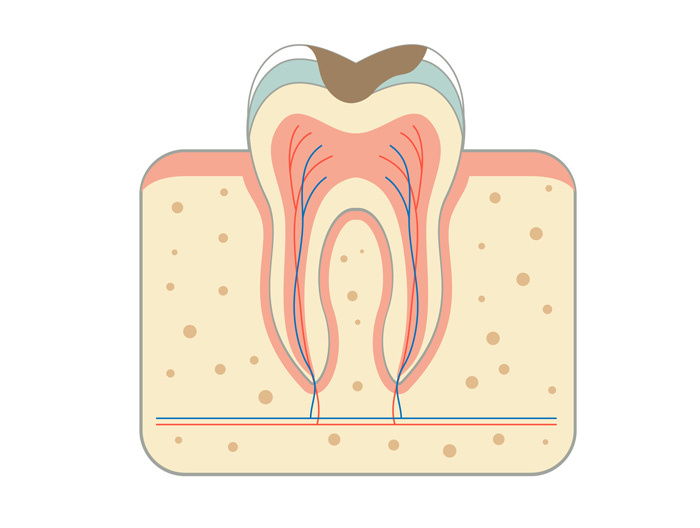 Prevent the formation of abscess in the infected tooth. 1. Our dentist uses local anesthesia to numb the tooth and place the dental dam, a small sheet of rubber that separates the tooth to keep it clean during the procedure. 2. Your dentist will use small tools like a small drill to check the interior part of the tooth by creating an opening at the top part of the tooth. After this, the dentist will use small files to remove the damaged pulp from the tooth. He will use files to shape the inner part of the tooth root and wash away the remaining pulp. Our dentist will use an antimicrobial solution to kill the bacteria and reduce the risk of further infection. 3. After the chamber is cleaned thoroughly, the endodontist will fill it up. A rubber-like material known as gutta percha is used to close the tooth opening by using a temporary filling, while waiting for the permanent crown. 4. After a few weeks, our dentist will place the permanent crown on the top of the tooth. 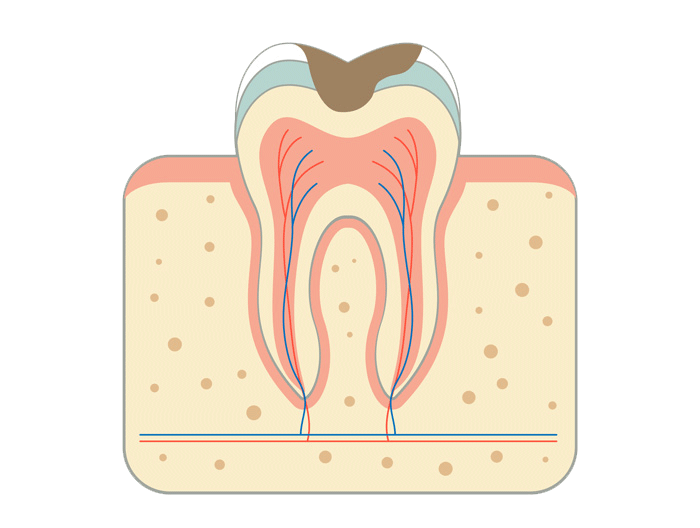 Depending on your natural tooth, our dentist might place a supporting post inside the root chamber, to prepare the crown for more stability. Maintain good oral hygiene habits. Avoid eating hard and sugary foods. Visit your dentist once every six months. Brush your teeth twice and floss daily to clean mouth. 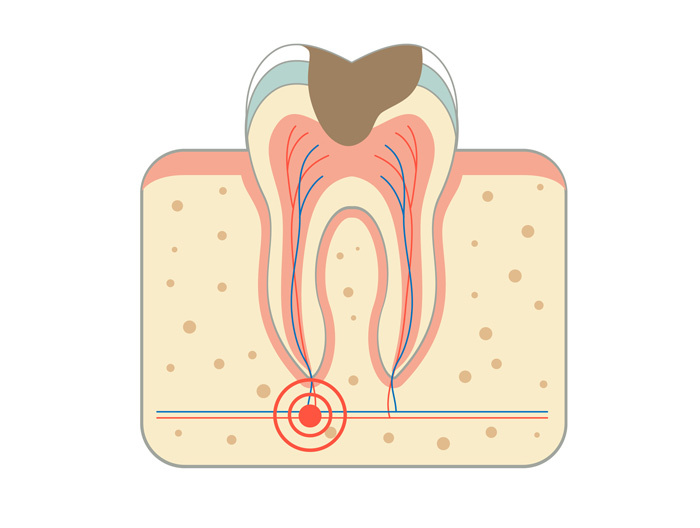 A root canal is less costly than getting a tooth removed and replaced with an implant. 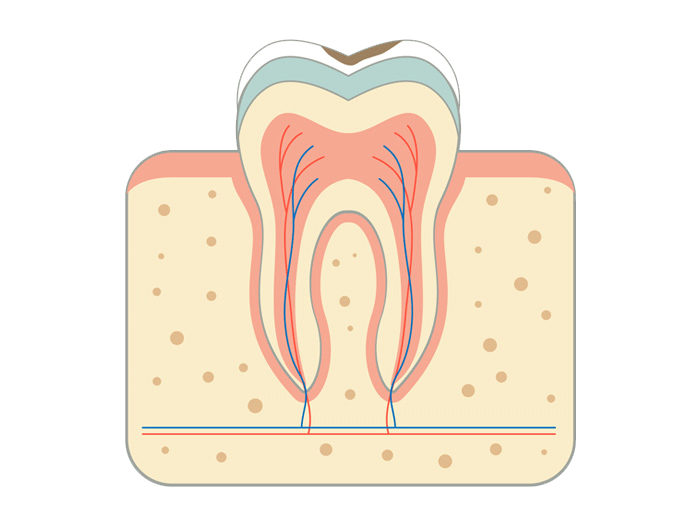 The cost of a root canal treatment is from £250 for an incisor and from £400 for a molar, on an average. The cost actually depends on the severity of the disease and the dentist who treats your oral complications.